It's truly the most wonderful time of the year: Christmas. Hanging stockings by the fireplace, baking cookies, and gathering friends and family to exchange gifts. But another important part to the Christmas season is reaching out to loved ones to remind them that they are on your mind and in your heart. 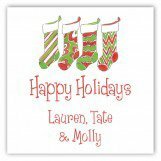 And what better way to do so than with our collection of personalized Christmas cards? If you are in need of assistance as far as Christmas party wording is concerned, then Polka Dot Design is here to help. 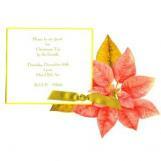 We have sample wording to make the invitation process a lot simpler. 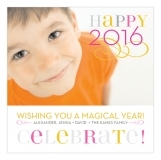 You can customize your invitation with just a few clicks of the mouse. Glance over a few tips and tricks for party invitation wording for those Christmas open house invitations, and get started building the perfect invite today. 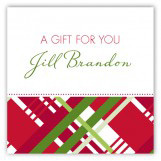 One of the most popular arrangements in our holiday arsenal, are the Christmas photos cards. Reconnect with loved ones and friends and keep them involved in your family's life through a personalized photo card. They are simple to create and bring warmth and joy to each and every recipient. Or perhaps you're looking for something a bit more holiday event specific. Our Christmas party invitation design templates online run the gamut of design, color, and type, and can be personalized to fit your needs. Whether it's a cocktail party this holiday season, or you're searching for cookie exchange invitations, Polka Dot Design has you covered for every yuletide celebration. Many people love to host an open house in their new abode after their holiday wedding and we can do all your digital printing for that. 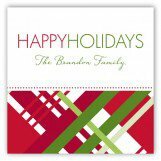 We are your online holiday stationery company.